Read the full Detroit Eater article. When it comes to tacos, which Metro Detroit restaurants are doing it right? We asked and you answered (in the forums, on the tipline, and Facebook). 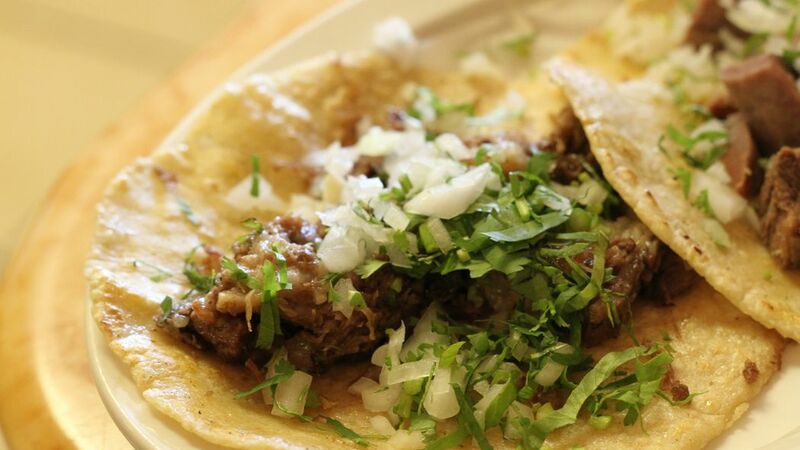 These are Detroit’s best taco shops, according to Eater readers. 4 ALLEY TACO – 4614 2nd Ave.
5 Taqueria Mi Pueblo – 7278 Dix St.
6 Taqueria Lupitas – 3443 Bagley St.
11 Taqueria Valente Taqueria – 6426 W. Fort St. This entry was posted in Detroit Food, Restaurants and tagged ALLEY TACO, Carnival Market, Catering Van, Imperial, Los Altos Restaurant, Painted Lady Lounge, Tacos El Primo, Taqueria El Rey, Taqueria Lupitas, Taqueria Mi Pueblo, Taqueria Nuestra Familia, Taqueria Valente Taqueria, Taquerla Alameda, Timmy's Tacos.